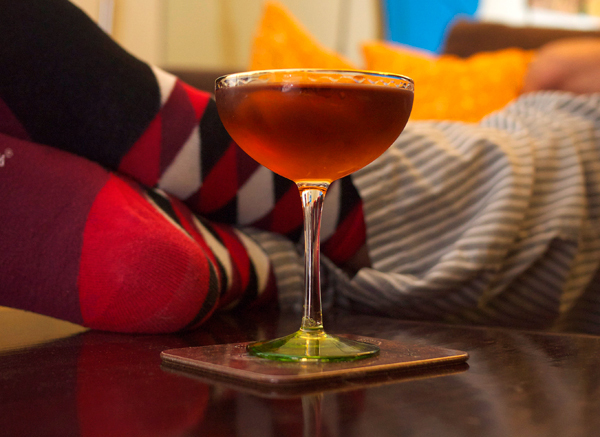 Nice pair of socks… I mean, cocktails. The Hanky Panky is also fabulous with the Vermouth di Torino (I like this one with Beefeater). Make sure to tell your husband/Christopher. And regarding the Kingston Negroni, I’ve had one of its relatives the Professional which has bourbon and Smith & Cross, but not this one for some reason. I need to remedy this asap! I’m not much of a Rum drinker, especially when it’s not summer, but damn that Red Lantern sounds good. I gotta try it! Caroline- This is basically what I think people who don’t drink much rum would totally be into. Don’t skimp on the grapefruit peel- it’s the icing on the drink! I think we have very similar tastes in drinks! We love St. George around here, and the Terroir quickly became the preferred gin in our liquor cabinet. 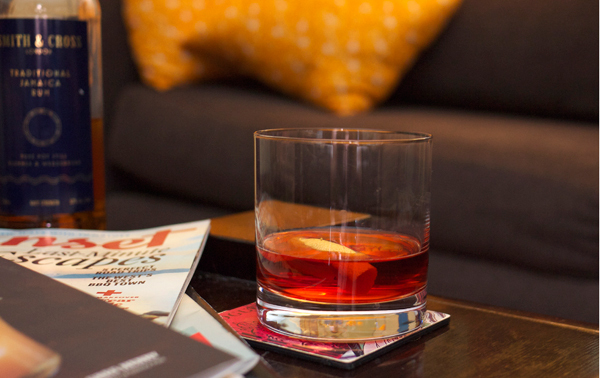 One perk of living in Oakland: We’re just a short drive from the distillery. So we got some super-double-secret gin that they made in small batches this year. And those bottles offer even different tastes than the other 3 available. Just an amazing distillery! I am SO jealous!! St. George is putting out a lot of unique stuff and I love that it’s all from California. I desperately want to get my hands on their whiskey and rum.